last week we went on a family staycation to Knott’s, where we stayed at the Berry Farm Hotel and went to Knott’s Berry Farm and Soak City. we had such a great time, more fun than we even imagined…and we have been to Knott’s and Soak City many times. being able to stay at the hotel and walk back and forth to both parks without driving was such a nice treat. we are already wanting to go back. 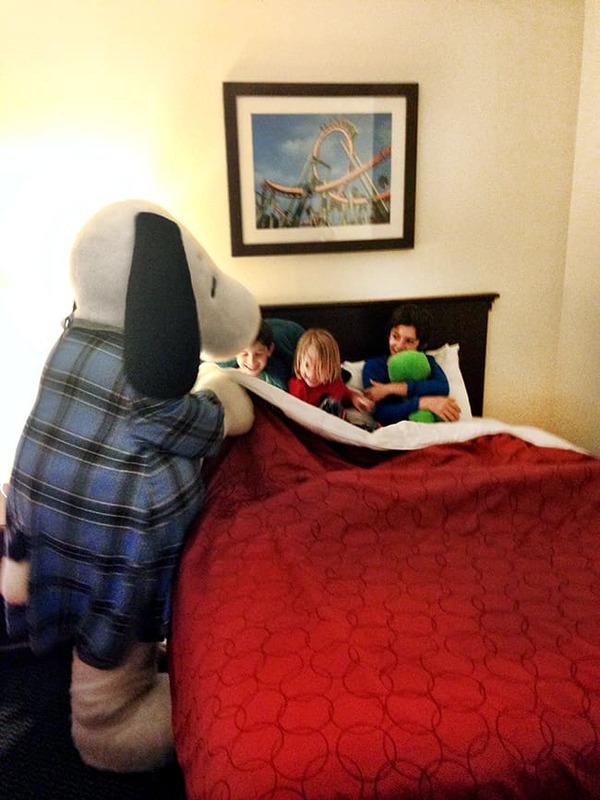 the most special thing that happened on our stay, was when Snoopy came and tucked the kids into bed at bedtime. it was the sweetess, most adorable thing ever, and all my boys loved it, even my oldest. 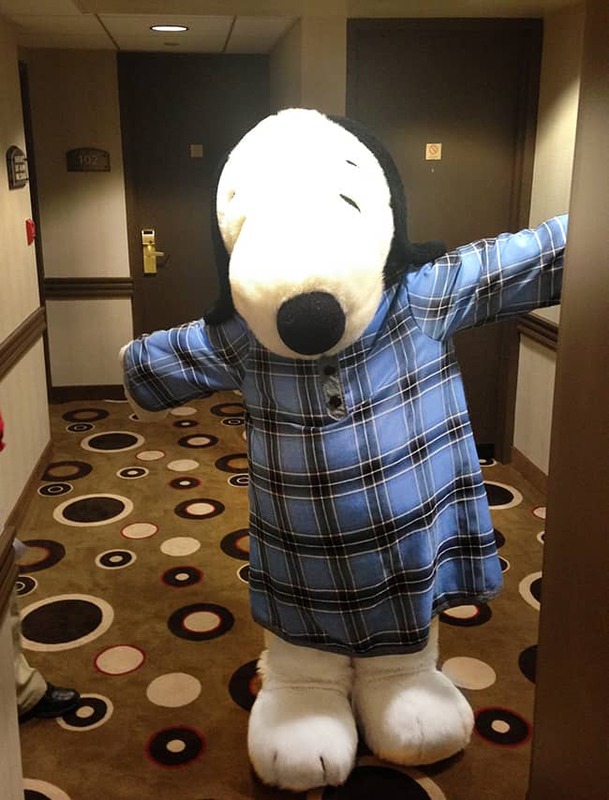 i mean, who doesn’t love Snoopy….i should have let him tuck me into bed too. 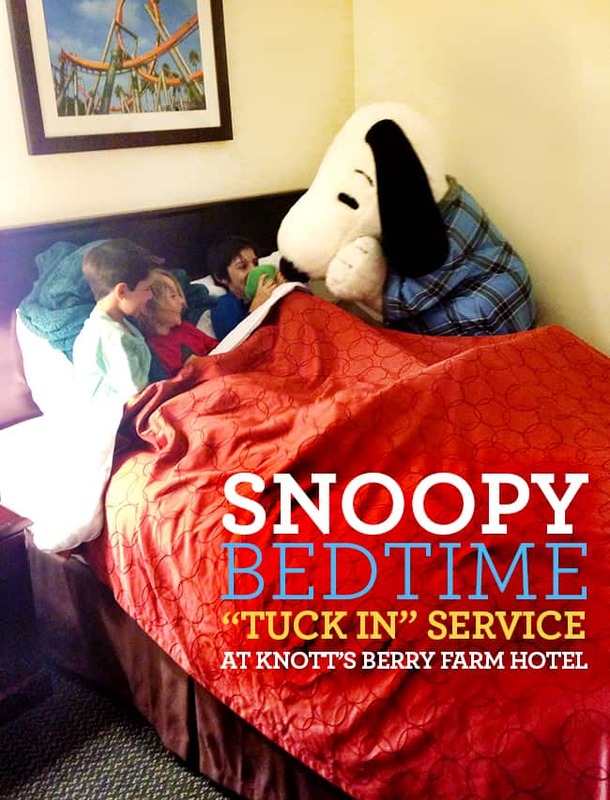 did you know that when you stay at the Knott’s Berry Farm Hotel, Snoopy can come and give you a special bedtime tuck in? 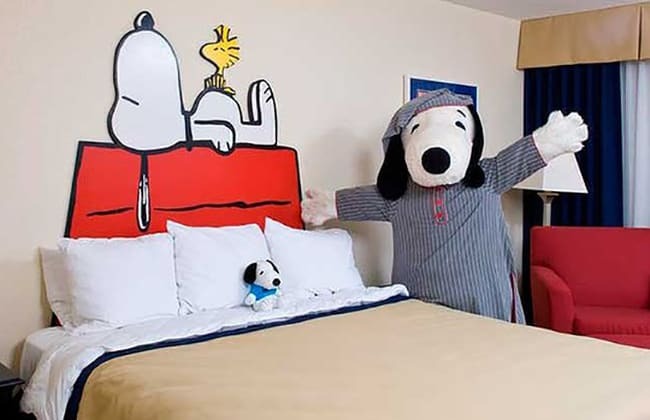 when you stay in the Camp Snoopy themed rooms, Snoopy visits between the hours of 8:30 and 9:30 p.m. to tuck you into bed and give you a goodnight kiss and a hug. 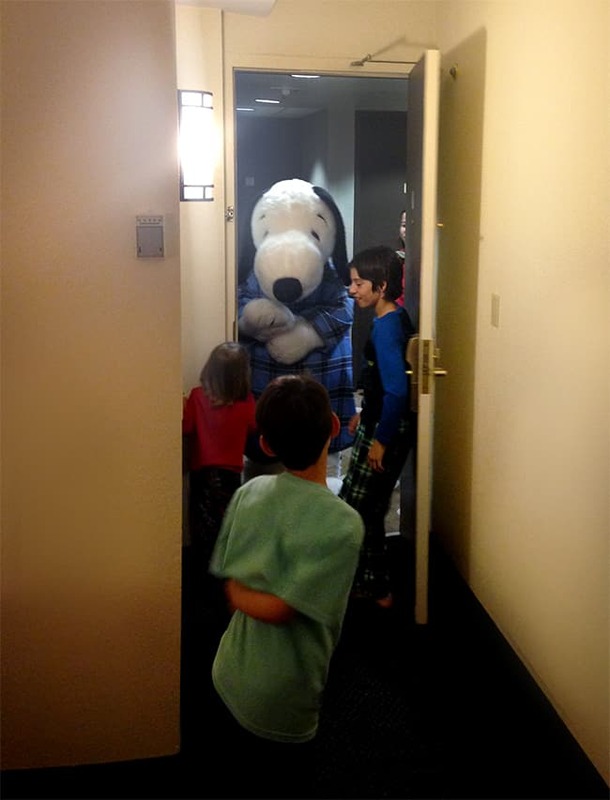 you should have seen the excitement on my kids faces when they heard Snoopy knock on the door. they probably were a little too excited! 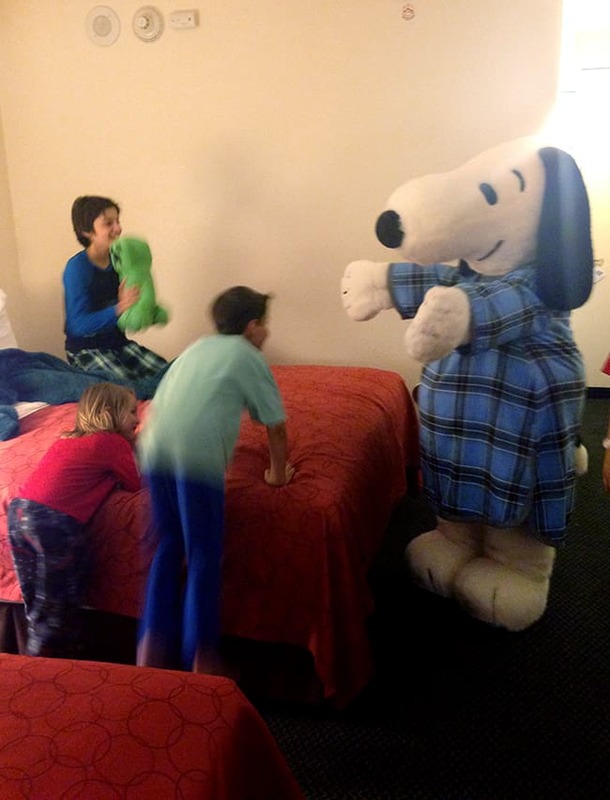 when Snoopy came in to our room, the boys were jumping all over the room….but Snoopy did his job. he gave those boys a big hug…. and rangled them all into bed, pulling the covers up tight. then it was kisses for more hugs for all. and although the boys were way too excited to got to sleep, they laid in bed happy as could be. having Snoopy come and put them to bed was one of the most exciting things to ever happen to them. 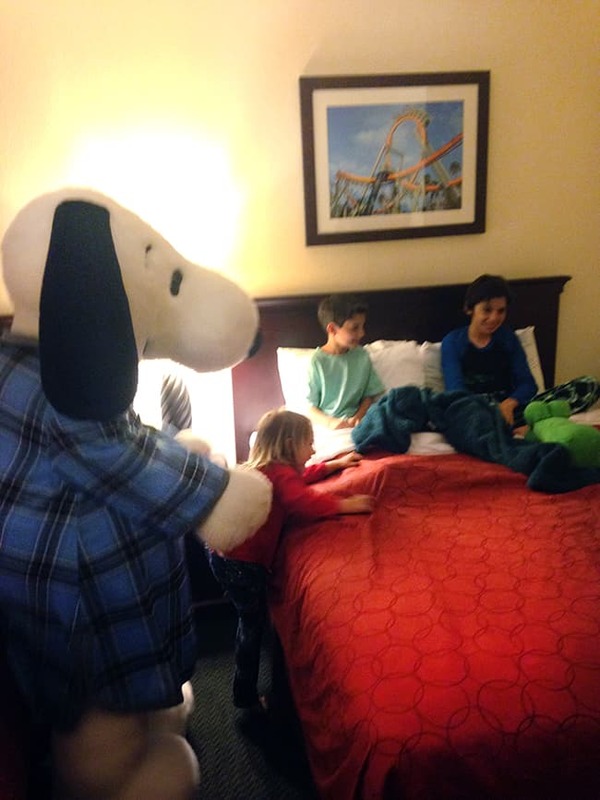 here is a short video of Snoopy tucking the boys into bed at the Knott’s Berry Farm Hotel. the excitement the boys had was so sweet to watch. it was such a special moment that they will remember forever. thanks Snoopy for making our stay extra special.